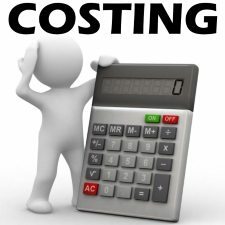 What is a Job Cost Sheet? Job Cost Sheet is an important document which is prepared for the ascertainment of cost of each job in Job costing. Job cost sheet is otherwise called as job card. A separate cost sheet is prepared for each job on which direct material, direct labour and other costs are charged relating to a job. 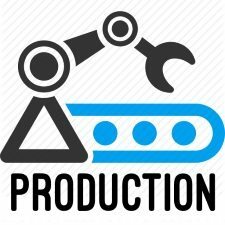 Both direct materials and direct labour are recorded at usual cost and overheads ie manufacturing overheads are charged at predetermined overhead rate. Each job sheet bears a job number, which is used for easy identification, description of work, and details of cost of material, labour and overheads. There is no fixed format for job cost sheet or job card. The format of a job cost sheet depends upon manufacturing characteristics and type of work. 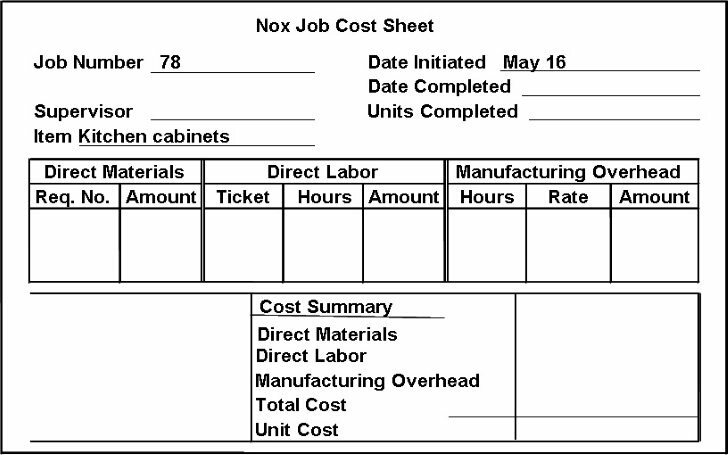 As soon as the job is completed, the concerned job cost sheet is prepared and calculate the cost of the job. The total costs, which are collected from the job cards, are debited to the work in progress account periodically. 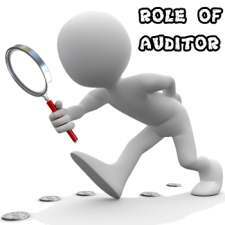 On completion of a job, the total costs incurred for the specific job is credited to the work in progress account. The balancing figure is the value of job not yet complete. Specimen copy of Job Cost Sheet. Source: Google. 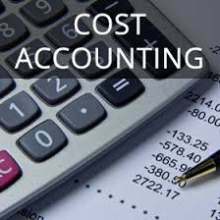 The following procedure is followed in the job costing method. Direct materials form part of the finished product. The cost of direct materials constitutes a major portion of the total costs of a job. Therefore, the actual cost of materials used for job is directly charged to the specific job. Indirect materials form part of manufacturing overheads, which are also distributed to each job separately. The information of cost of direct materials used can be obtained from bill of materials or the stores requisition slip if the materials are received from the stores. Sometimes, the materials can be purchased from the open market and used for the job. 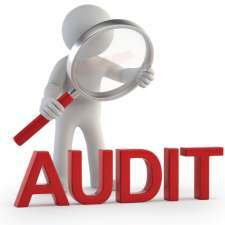 If so, cost of materials information is obtained from the invoice. Direct labour costs should be ascertained and charged to each job separately. The information of direct labour costs are obtained from various records like job cards, time cards or piece work cards. The time of commencement of work and the time of stopping the work are recorded on the job time ticket. Sometimes, labourers work on time rate basis. If so, the wages is calculated by multiplying the number of hours worked on each job on an hourly rate. 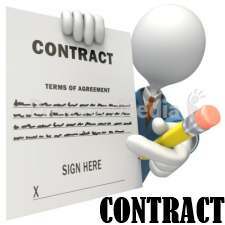 The direct total labour cost is debited to the job account and the wage control account is credited. 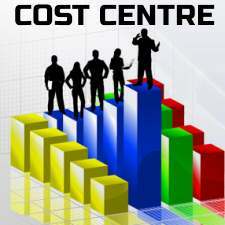 Indirect labour costs are debited to the indirect manufacturing cost control account. The direct expenses are also charged to each job separately. The cost information like direct expenses can be collected or obtained from vouchers. Hence, the invoice is marked with the number of the job to which the costs are to be allocated. 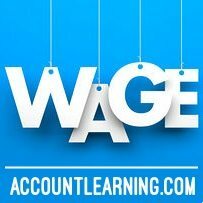 All the direct expenses relating to a job is debited to the specific job account or the work in progress account and credited the general ledger adjustment account. The direct material cost, direct labour cost and direct expenses are charged at actual cost. But, the overhead costs can be determined by jobs or production order. The reason is that the factory is considered as a cost centre for collecting manufacturing expenses. Generally, the actual incurred costs are applied to each job. 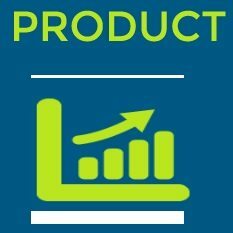 If not so, the predetermined overhead rate is used to charge manufacturing overhead. 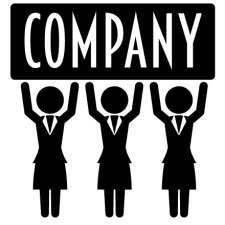 Likewise, administration, selling and distribution overheads are absorbed by each job on suitable basis. The total cost of collected overheads are debited to the job or to the work in progress account and credited to the overhead control account.